We are on the 9th day of December already! Christmas is getting closer and closer as we speak. 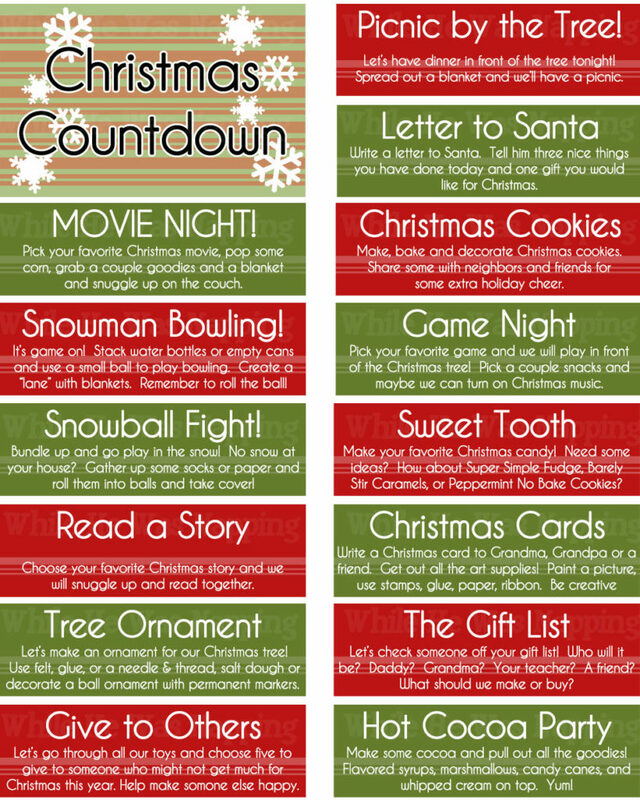 Right now I am sitting in my hotel in Florida waiting for my boyfriend to get back from a run, so I decided to look up some fun Christmas countdown ideas. I found this pin on Pinterest and thought these were some really cute ideas. I think the snowball fight is out of the question for me and my family due to the fact that we live in California and have no snow where we live, but the rest look really fun. I especially like the sweet tooth one and movie night option. I hope you find these ideas helpful! I would love to hear what traditions you and your family have in place for the holidays.